538 pages | 175 Color Illus. | 152 B/W Illus. 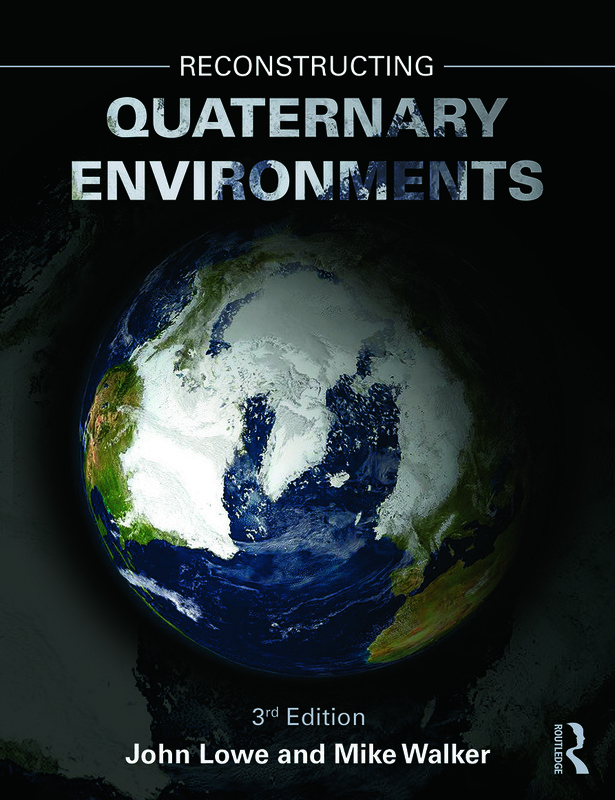 This third edition of Reconstructing Quaternary Environments has been completely revised and updated to provide a new account of the history and scale of environmental changes during the Quaternary. The evidence is extremely diverse ranging from landforms and sediments to fossil assemblages and geochemical data, and includes new data from terrestrial, marine and ice-core records. Dating methods are described and evaluated, while the principles and practices of Quaternary stratigraphy are also discussed. The volume concludes with a new chapter which considers some of the key questions about the nature, causes and consequences of global climatic and environmental change over a range of temporal scales. This synthesis builds on the methods and approaches described earlier in the book to show how a number of exciting ideas that have emerged over the last two decades are providing new insights into the operation of the global earth-ocean-atmosphere system, and are now central to many areas of contemporary Quaternary research. "This is a splendid compendium of what we know and understand about Quaternary environments, and how we study them. Lowe and Walker are to be congratulated on this fully updated version of their popular textbook. Reconstructing Quaternary Environments continues to be a must for Quaternary sciences courses at all university levels and an indispensable reference source for professional geoscientists. This new edition is beautifully illustrated and provides diverse examples from around the world; it is a real tour de force of Quaternary studies." "The literature in Quaternary environmental and climatic change has increased exponentially during the last decades and now covers a wide range of archives, proxies and modelling studies. In this revised and updated 3rd edition, Lowe and Walker have successfully integrated the wealth of new data from around the world. The up-to-date information and references, the elegant language, the explanatory notes after each chapter and full-colour illustrations and photos all serve to make this wonderful textbook a treasure trove for students, researchers and anyone else interested in finding out more about the exciting subject of Quaternary climate and environmental change." "The third edition of Reconstructing Quaternary Environments by John Lowe and Mike Walker continues the impressive standards set by its two predecessor volumes. Well written, extensively referenced and with numerous clear diagrams and colour figures, it sets the standard for textbooks on Quaternary science and the techniques to reconstruct environmental change. It should be essential reading for students and will be an invaluable reference for all those with an interest in the Quaternary." "A good reference for courses (if complemented by a work with better focus on the human record) and a general introduction to this topic. Summing Up: Recommended. Upper-division undergraduates, graduate students, researchers/faculty." John Lowe is former Gordon Manley Professor of Geography and Quaternary Science, and now Emeritus Professor of Quaternary Science, Royal Holloway University of London. Mike Walker is Emeritus Professor of Quaternary Science, School of Archaeology, History and Anthropology at Trinity Saint David, University of Wales, Lampeter, and Honorary Professor, Aberystwyth University.